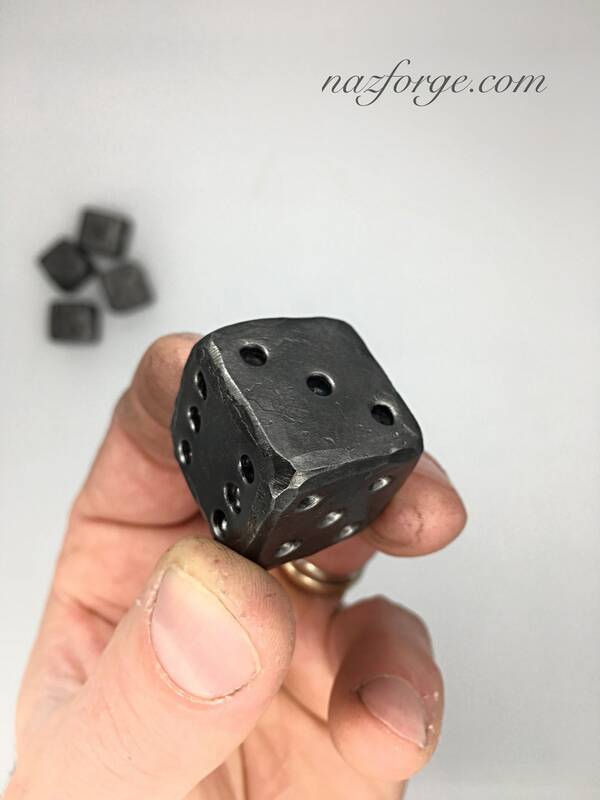 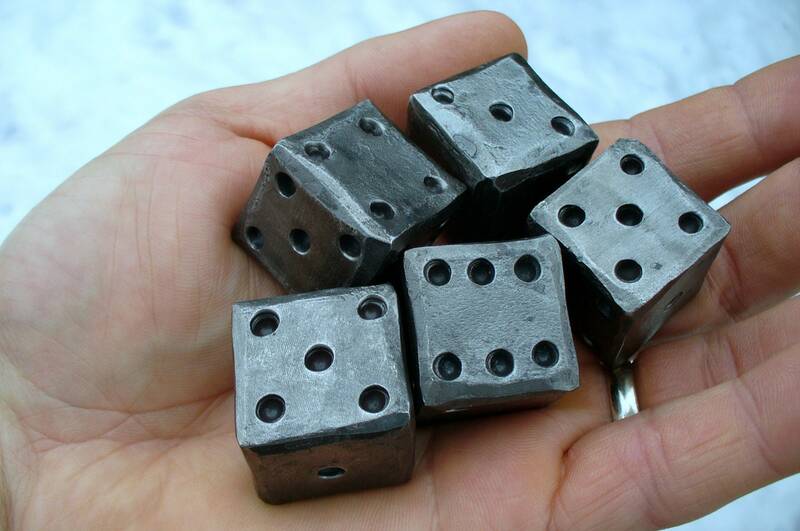 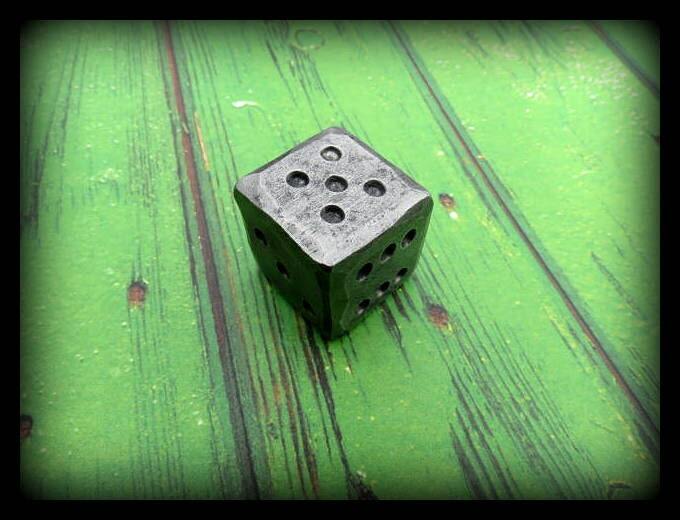 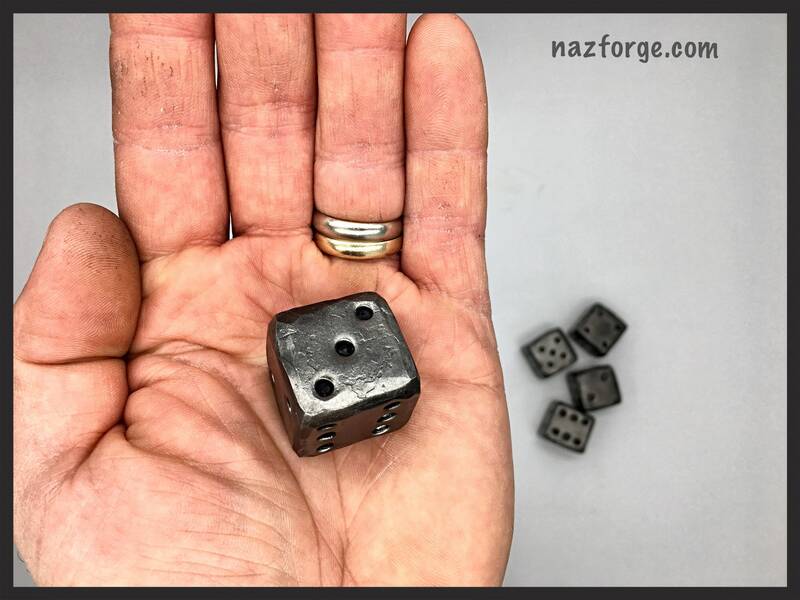 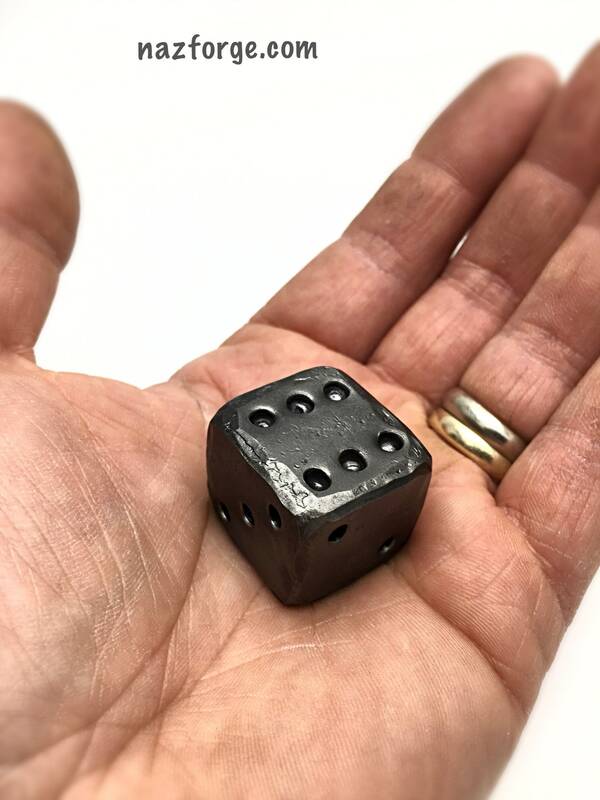 Hand forged and hammerd all around, these 1" x 1" dice are sure to catch everyone's attention. 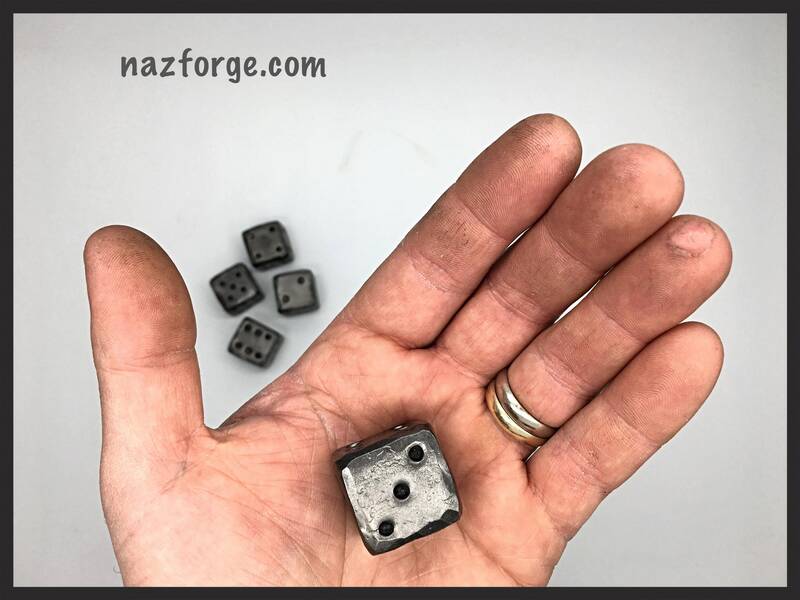 Hand forged... 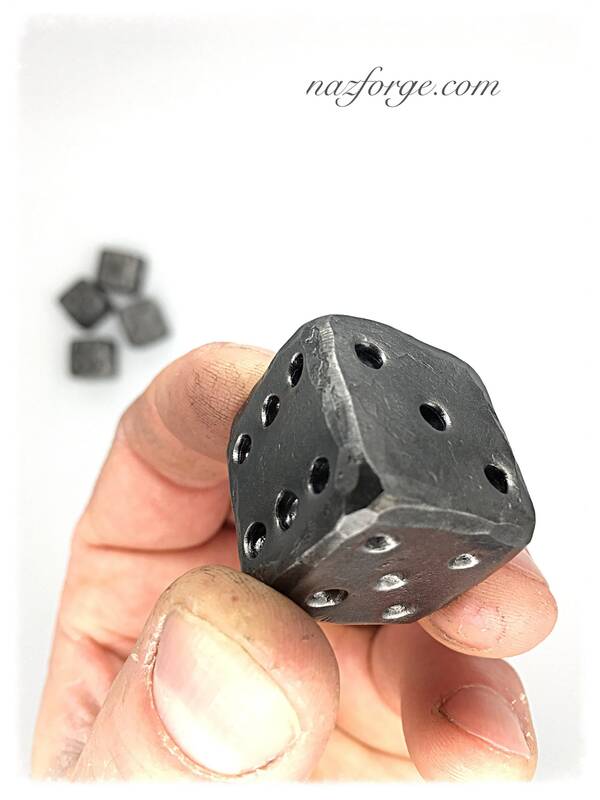 The holes are punched in, not drilled. 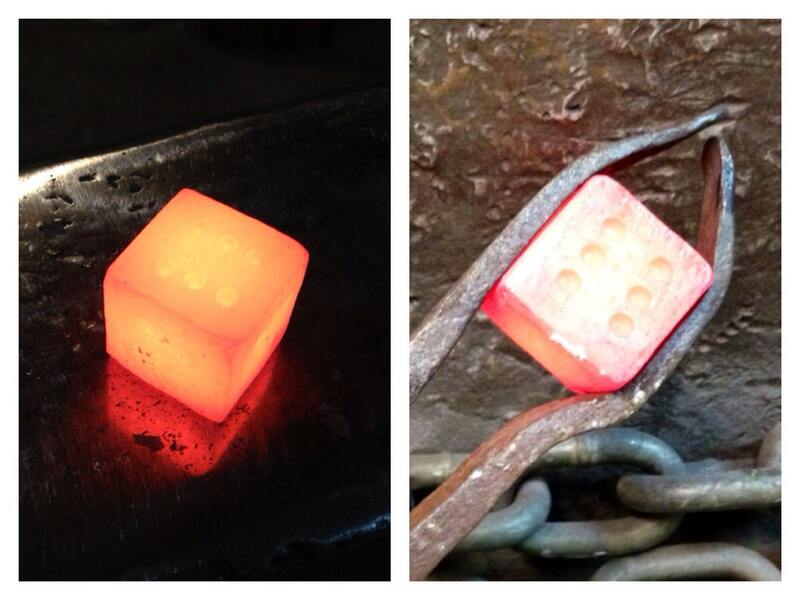 The corners (edges) are hammered randomely... As the die is being worked at a yellow/orange heat between the hammer and the anvil, each die is transformed into a unique & rugged one of a kind item. 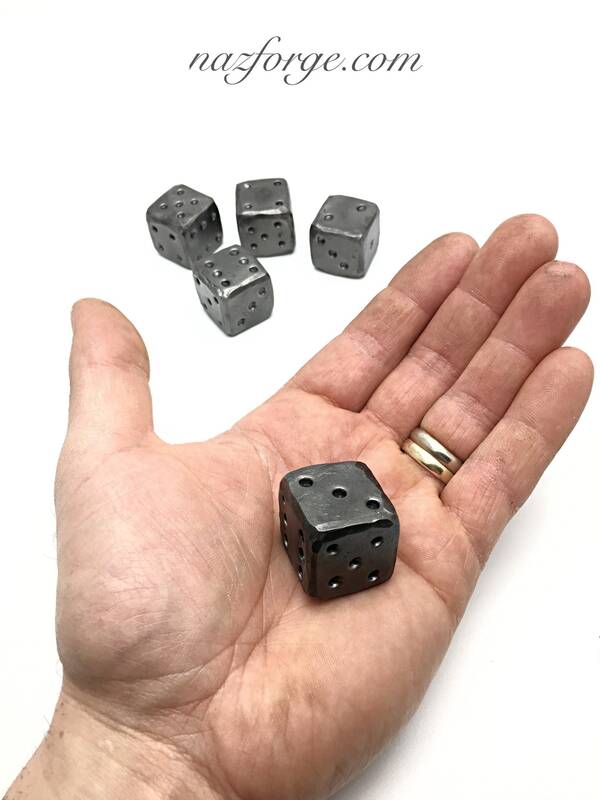 Simply decorative or used as a paper weight or anything your imagination brings up, great gift idea, turn them around for different visual effects. 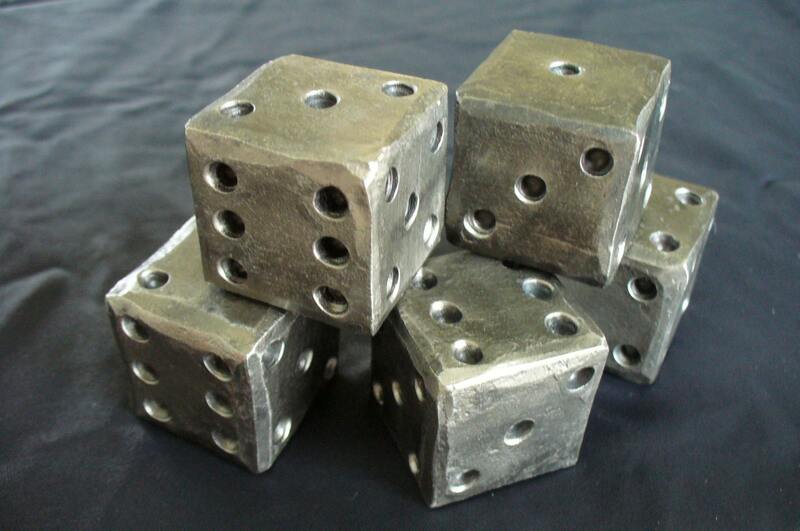 Each die weights approximately 1/4 pound.